Become a Member of The 19th Hole & Watch Every Episode of Golf Getaway for FREE! Golf Getaway the world’s most popular golf travel show invites you to be one of our exclusive 19th Hole Members. 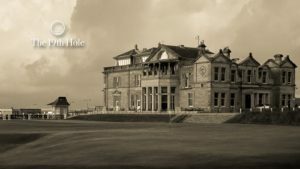 The 19th Hole is the collective Channel for Golf Getaway, Golf University, Search 4 Scratch and other great Golf and Travel Videos, Episodes and Documentaries that you can watch from any device, anytime, anywhere in the world. The 19th Hole is also the Clubhouse where our Passionate and Inspiring Members Belong to Watch, Learn, Grow, Meet and Share Inspiration as Golfers. Golf University (Golf Getaway’s sister company) is the world’s premier Golf Improvement Program for Passionate Golfers. Golf University provides world class technical and drill based golf coaching programs, delivered by some of the world’s best players, coaches and experts via the internet and workshops. Woods and hybrids can be difficult to use, especially if you aren’t used to hitting with them. What you eat can drastically affect your golf game. As you are probably already aware good food gives you energy, and junk food wears you out.